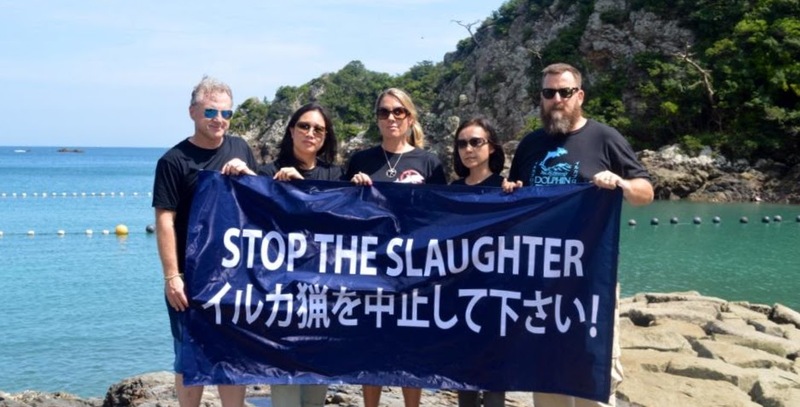 Taiji – It has been a little less than a year since I have been to Taiji, and as I prepared for the start of the 2017/18 dolphin hunting season, I wondered how many families would be ripped apart or completely destroyed at the hands of the dolphin hunters? How much pain and suffering would be endured by these incredible animals? How many dolphins would lose their lives or their freedom as they innocently migrated past the coast of Taiji? I began to think about how the new season might unfold and wondered how Taiji might have changed since I last visited. 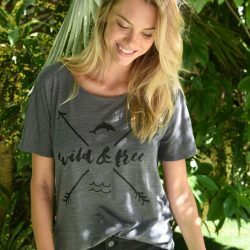 I hoped there would be signs that the captive industry was dying, and that the world was awakening to the cruelty behind this industry. Unfortunately, that is not what I discovered upon my return. And while the world is waking up to the fact that captivity is no place for dolphins, other places have increased their demand for wild-caught dolphins, putting a great deal of money into Taiji’s captive dolphin industry. The first thing I noticed as we drove into town is the new visitor center. Inside the center was an informational exhibit on the history and culture of whaling in Taiji. 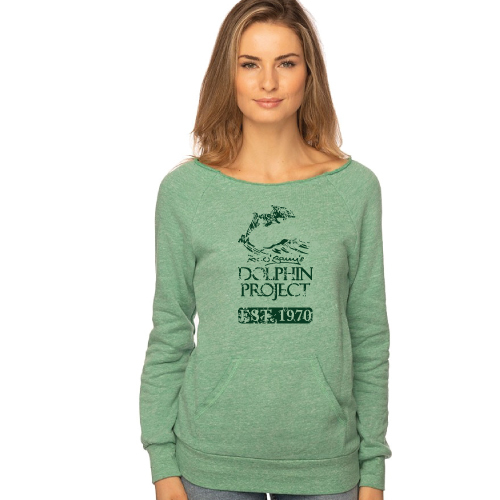 Not to be confused with the brief history of dolphin hunting which only began in the 1960’s. 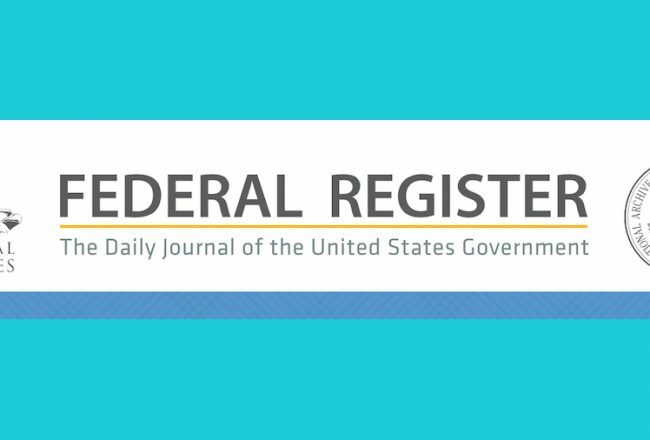 While it cannot be denied that there is a long history of whaling here, the claim that hunting dolphins is part of their history and culture can, and must be questioned. Is capturing, training, and selling dolphins part of this history, or did this industry develop as a way to profit from these unfortunate dolphins? Also in this center is a cafe where you can sit and eat while looking out at the bay (I cannot say what was on the menu as it was in Japanese and the workers spoke no English.) Finally, there is a small store there, where various types of whale and dolphin artwork are for sale, as well as food items including vegetables, fruits and cans of whale meat, as well as fresh whale and dolphin meat in a cooler. Dolphin-shaped cookies are also sold. Across the parking lot is Moriura Bay – the site of Taiji’s proposed marine park. Sea pens that were previously in the harbor have been relocated to this bay. From what we understand, a netted-off area will be created for people to kayak and interact with the (captive) dolphins swimming in the bay. Also planned is a captive breeding program across several different species to help keep up with the demand for captive dolphins. Years ago, when I first learned of this plan I was skeptical that it would actually happen, but it seems plans are moving forward. Also located in the bay are pens belonging to Dolphin Base, where wild-caught dolphins are trained and conditioned for “life” in captivity. Tourists are able to swim with these mammals, and I noted many were, including small children. Dolphin Resort, a facility located on the edge of this bay appeared to be undergoing a major renovation. From what I observed, an increase in visitors to Taiji must be expected. And yet, some things haven’t changed at all. Each morning, weather permitting, the dolphin hunters leave the harbor in search of wild dolphins to capture, and/or kill. Each time I document the parade of banger boats heading out to sea, I feel sick. On the first day of hunting, I got a grim reminder of how brutal the hunting process is, from start to finish. As our team of Dolphin Project Cove Monitors waited at Tomoyozoki Point, scanning the horizon for banger boats, we eventually caught sight of them off to the north, in the dreaded drive formation. Hour after hour passed as the banger boats attempted to drive the dolphin pod towards the cove, yet they were making very little progress. I knew it had to be some species that the hunters really wanted. 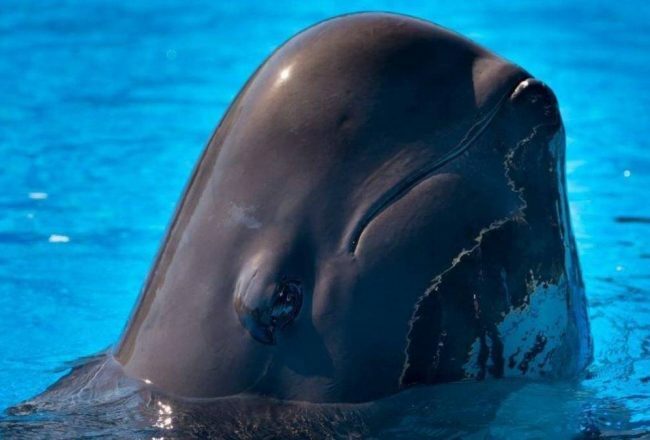 Over seven hours later, well past their regular work time, the pod – a family of short-finned pilot whales were finally driven into the cove. And, as the nets were pulled across these waters, I knew their fate was sealed. At Dolphin Base, one can observe the training process as dolphins are conditioned to become dependent on their trainers for food. A dolphin that is used to hunting and capturing its own food does not easily adjust to this. Once this dependence has been established, the dolphins must learn to perform certain behaviors in order to receive a dead fish reward. Different dolphins are in different phases of the process. Some are just learning the desired behaviors while some seem to be ready to perform. 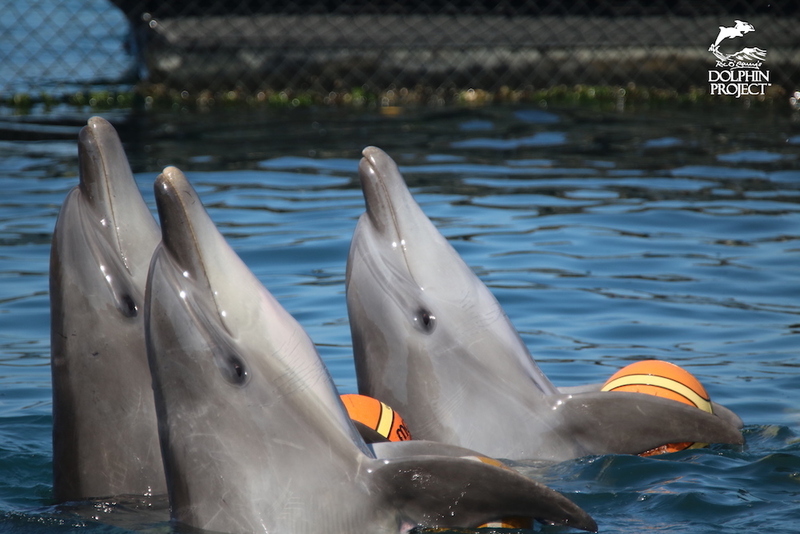 It is heartbreaking to watch these sentient mammals being forced to carry balls, to turn rapidly in circles, to “wave” with their flukes, to “shake hands” with their flippers – all behaviors that would never occur in the wild. 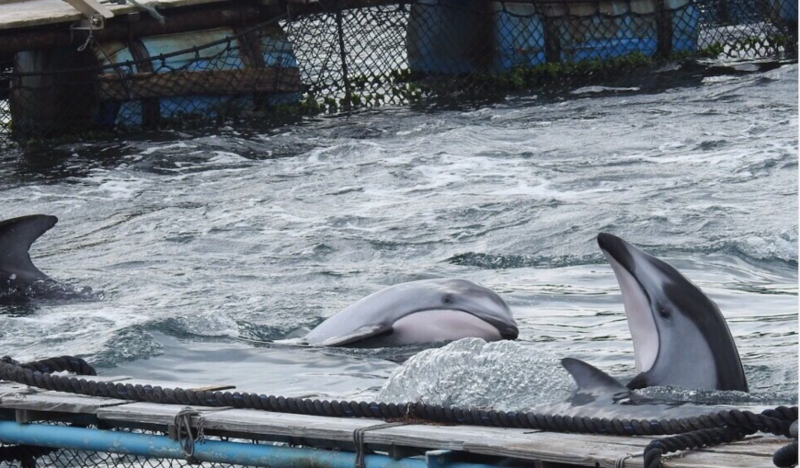 All this suffering, just to entertain and amuse paying customers at dolphin shows. As an educator, I speak to many groups of children about dolphin captivity. When I first begin my talks, I ask students how many have been to a dolphin show or swam with captive dolphins. Many hands go up. When I ask them why they went, the most common response is “because I love them”. This begins my discussion about what it means to love an animal. 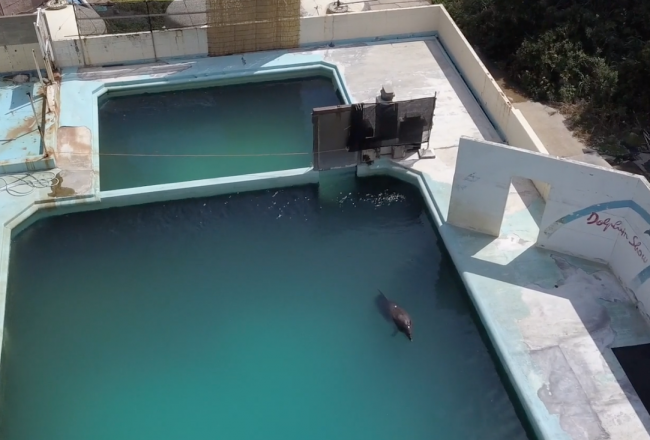 When I show them videos of wild dolphins in the ocean and then compare that with captive dolphins completely bored in-between shows and exhibiting repetitive stress behaviors, I ask them to think about what is best for these mammals. I can see light bulbs going on as many will shout “to be in the ocean!” Kids get it. This is why it is so important to educate, educate and educate some more! 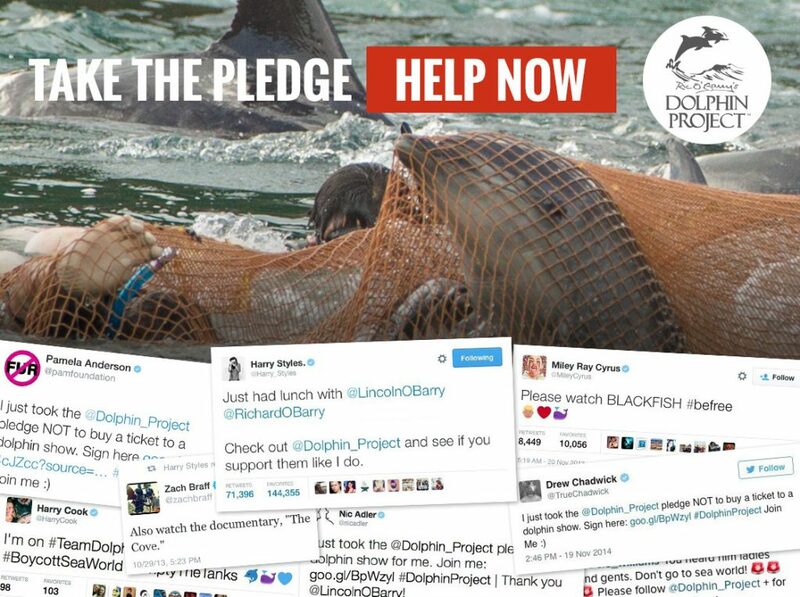 Only through education will people, young and old, realize that dolphins do not belong in captivity. And this is precisely why, year after year, I return to Taiji. I return to educate, by documenting the brutality involved in the capture of wild dolphins and to open the eyes of others to the truth behind the captive dolphin industry. 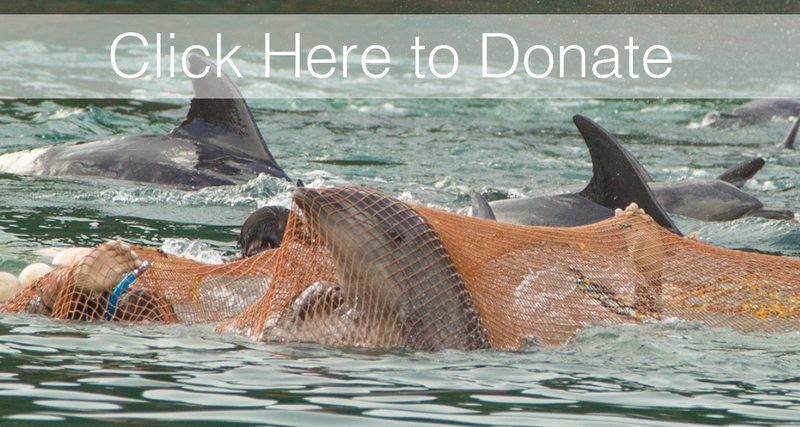 Taiji is truly ground zero for the captive dolphin trade. 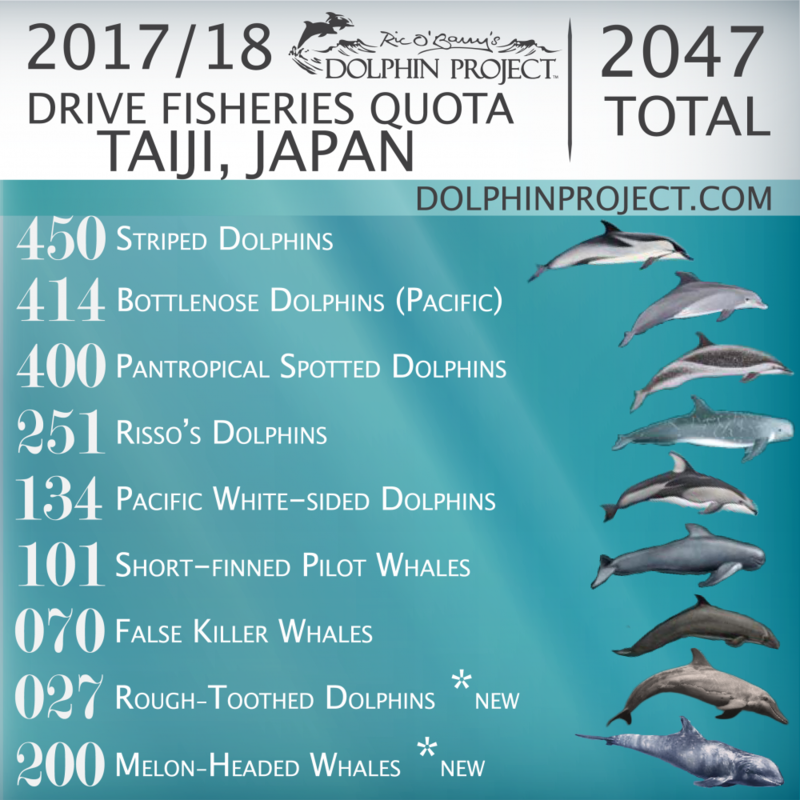 When the demand for captive dolphins disappears, only then will we finally be able to end this chapter in the book of human history.